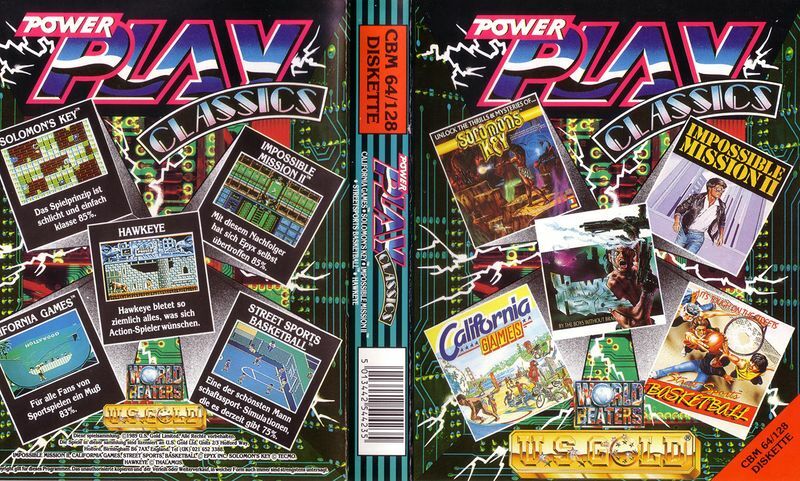 Power Play Classics is a computer games collection with games by the British developer and publisher U.S. Gold on datasette (about ?? DM) and diskette (49,- DM) for the C64. Only games that had received a very good vote in the magazine Power Play were included in this collecctions. The collection was sold with 3 cassettes or 4 diskettes and a manual in German.